Insert a new clause (ia) under Section 16 to provided standard deduction of Rs. 40,000/- or the amount of salary, whichever is less for computing the income chargeable under the head of Salary. It is also proposed to omit the Clause (v) of proviso of Section 17(2)(viii) which provides deduction of medical reimbursement paid by the employer to employee up-to Rs. 15,000/-. This deduction to allow standard deduction shall significantly benefit the pensioners also, who normally do not enjoy any allowance on account of transport and medical expenses. Finance Minister Mr. Arun Jaitely in his budget speech announced to disallow to transport allowance deduction to salaried employees. The said dis allowance will come later by way of separate notification under Section 10(14). Insert a new clause (xi) in sub-section (2) of the section 56 so as to provide that any compensation or other payment due to or received by any person, by whatever name called, in connection with the termination of his employment or the modification of the terms and conditions relating thereto shall be chargeable to income tax under the head "Income from Other Sources". The new section, inter alia, provides that where the gross total income of an assessee, being a senior citizen, includes any income by way of interest on deposits with a banking company to which the Banking Regulation Act, 1949, applies (Including any bank of banking institution referred to in section 51 of that Act) or a cooperative society engaged in the business of banking (including a co-operative land mortgage bank or a co-operative land development bank) or a Post Office as defined in clause (k) of section 2 of the Indian Post Office Act, 1898, a deduction of an amount up-to Rs. 50,000/- (Rupees Fifty Thousand) shall be allowed. It is further amend to provide that where the income referred to in this section is derived from any deposit held by, or on behalf of a firm, an association of persons or a body of Individuals, no deduction shall be allowed under this section in respect of such income in computing the total income of any partner of the firm or any member of the association or any individual of the body. The existing provision of Section 80D provides that for medical insurance or preventive health check-up of a senior citizen, deduction of Rs. 30000/- shall be allowed. Further, in the case of very senior citizen, the said section also provides for a deduction of medical expenditure within the overall limits of Rs. 30000/-. As per existing provisions under the Section 80DDB, a deduction is available to an individual and Hindu Undivided Family with regard to amount paid for medical treatment of specified diseases in respect of very senior citizen up-to 80,000/- and in case of senior citizens Rs. 60,000/- subject to other conditions. 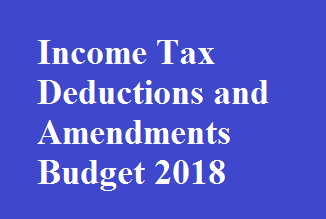 Amendment in the said section so as to increase the existing limit of deduction available to an Individual and Hindu Undivided Family with regard to amount paid for medical treatment of specified disease in respect of senior citizen shall be one hundred thousand rupees. It is just good to know about tax benefits for individuals. There is no doubt that everyone should think about financial saving and it is usually possible when you evaluate various options that can help you save money. I too have made some investments that help me save taxes. Apart from getting suggestions for these investments, had got Risk Profiling done from an expert financial planner.